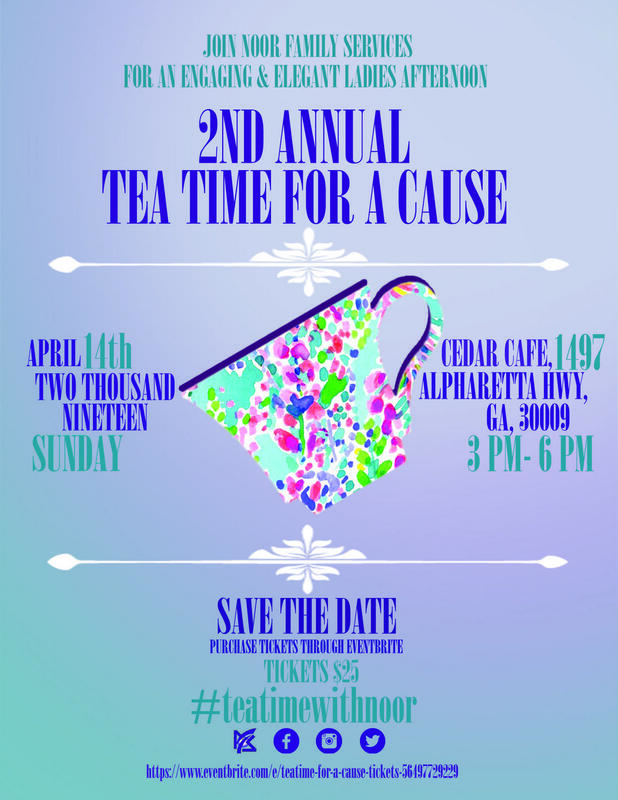 Friends of Noor Family Services invites you to their 2nd Annual Teatime for a Cause. Join us for a lively and elegant afternoon celebrating collabrative community efforts, inspirational conversations and talented performances of meaningful expression. Guests will be serenaded with decadent artisanal savory and dessert tea time snacks combined with exquisite tea and coffee. Partake in the raffles and tea time auction as you bid on articles sponsored by local vendors. Noor Family Services provides valuable services to victims and survivors of domestic abuse: let's unite to eradicate domestic abuse once and for all through education and cooperation. Edit This Event Last Edited By: Chama Ibrahim on March 19, 2019, 10 a.m.